Includes a drink, burger and fries. Age 19 and over ONLY. Come join us for a casual night out at the Townhall. Bring a friend or bring a group of friends. Age 19+. Tickets are only $25.00 and includes a drink, burger and fries. There will be games and some silent auction items to be had. Purchase your tickets using the Register button on this event page. 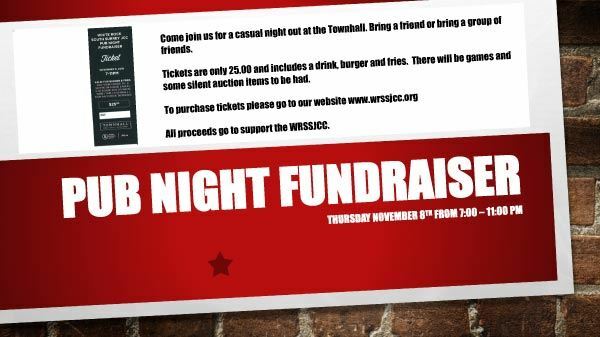 All proceeds go to support the WRSSJCC.